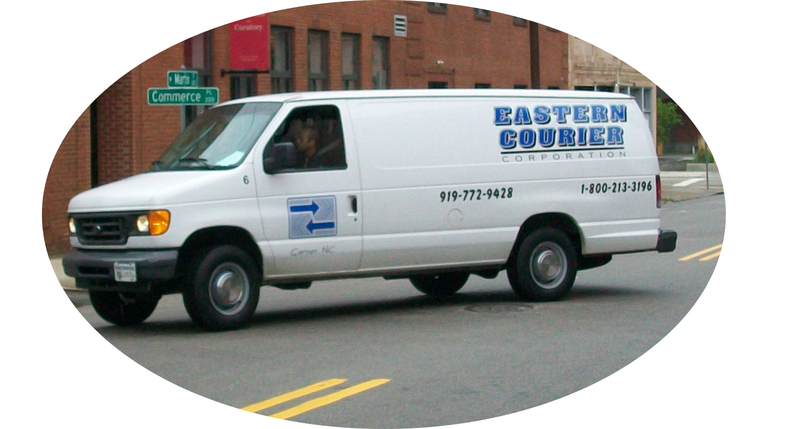 At Eastern Courier Corporation, we specialize in providing reliable, same-day service for your deliveries. Whether you need to request our services at the last minute or want to schedule a routine pickup, our professional delivery drivers are available both on demand and on dedicated routes. Our superior courier and warehousing services provide you with big-business capabilities and local business customer service. We offer the same services as the competition, but with the personal touch and flexibility of being an established, trustworthy local company. From manufacturing materials to office supply deliveries to pharmaceuticals, we can ship, pick up, and store. Our experienced, uniformed couriers will handle your cargo with respect and care, ensuring that it arrives at its destination on time and in perfect condition. Founded in 1972, we’ve been providing expert courier services to North Carolina, up and down the eastern seaboard, and beyond for more than 40 years. Trust your shipments to the reliable team at Eastern Courier Corp. Our dedicated routes mean your cargo gets picked up and delivered on time, every time. When you need once-in-a-while service or last-minute deliveries, we’re here to help! Call us up to schedule your delivery. We can even deliver your cargo same day! Need to store your supplies, equipment, or product inventory? 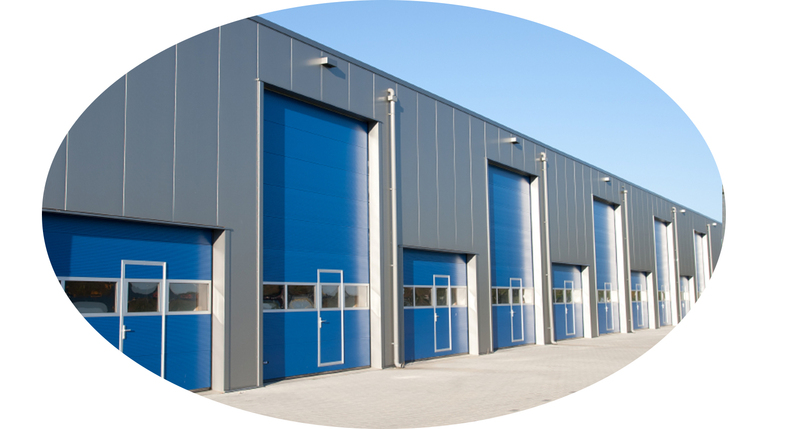 We offer warehousing services to store your goods carefully and professionally. Decades of experience and a business built on reliability and reputation, Eastern Courier Corporation is a delivery service you can trust. Our family business can handle routine pickups and complicated requests with ease, and our drivers are courteous, friendly professionals. Whether you need product moved a few states over or just need a place to keep some extra parts, we’ve got you covered. 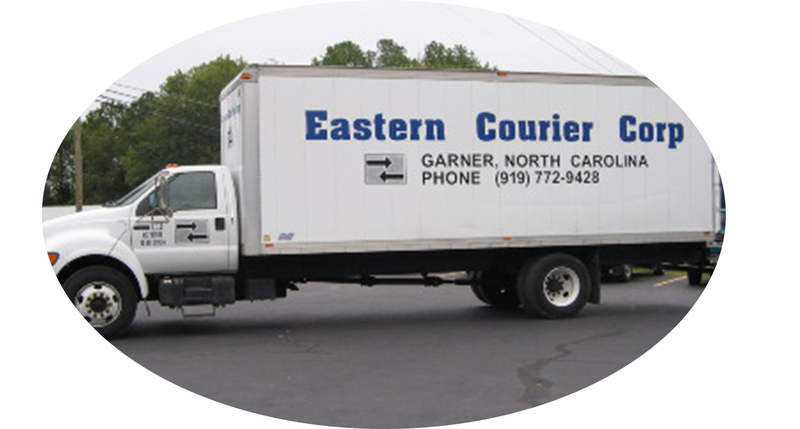 Eastern Courier Corporation was founded in 1972, serving customers near and far for more than 40 years. We’re committed to quality service and customer satisfaction, working with some clients for as long as we’ve been in business! Our courier services rival those of the big guys, but with the added advantage of having a local company on your side who cares about your success. We’ll pick up your shipment, deliver it where it needs to go, and even store your inventory. Whether you need a designated route or a one-time request with unique specifications, we are here to serve. Get in touch! Our friendly staff is happy to answer your questions and provide you with all the information you need to choose Eastern Courier Corporation. Call to arrange your upcoming delivery or storage needs today!